I hope y'all are having an awesome week, especially those of you that got yesterday off! Let's jump into this week's post and see what's been going on. . .
On Saturday my mom, sister, and I took my niece and nephew to a local pumpkin patch and we had an awesome time spending the day with them! You'll get to see a full outfit post from the patch from me as well, soon! If you haven't yet checked out last Saturday's post, please do-it's one of my favorites to do each year. I wrote about Shopping for a Cure, purchasing different things throughout this month that benefit breast cancer awareness and research, a cause that's near and dear to my heart. Today my mom and middle sister are heading to north Georgia for a little trip to the North Georgia Premium Outlets and I'm really excited...they have a Pottery Barn Outlet! If you're looking for the perfect shoes for winter-go no further than LL Bean's Bean Boots. If you order tonight before midnight, you can get 20% off anything on their website. To the pumpkin patch last Saturday, I wore this Tartiest Lip Paint in the shade Hangry and needless to say, I'm obsessed. It wore beautifully too, leaving a nice berry stain when the actual lip product wore away. 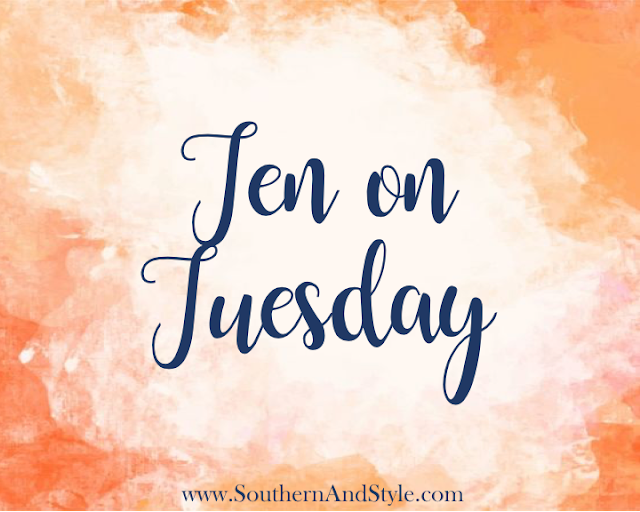 If you don't check out anyone else's blog posts that I recommend, I hope you check out Annaliese from Southern Belle in Training. She made a post last week titled "The Woman I Want to Be" and it was really lovely, I highly recommend-plus the dress she's wearing is incredible! Fall is just the best time for TV don't you think? On Netflix, I think the next series I'm going to watch is going to be The Secret Life of the American Teenager. I watched it a little when I was younger, but like PLL I just kinda dropped off so I want to try again! Southern Living has come up with some beautiful porch decor that makes me wish my house and door could be repainted soon, I need to decorate my front porch! If you're phone dies as often as mine does...might wanna check out 15 Ways to Save Battery on iPhone. Let me know below what you're up to this week! This was awesome! Thanks for sharing! What a great list! I need to check out that post on the I phone, my battery is always low! I bought those same boots over 20 years ago, the tread has worn out, so I need to replace them. They never leaked which is amazing since I live in one of the snowiest cities in the U.S. I had no idea Pottery Barn had an outlet! I need to look up if there is a pottery barn outlet near me, ASAP! I love a pottery barn outlet! They are so fun but so dangerous to the wallet! I need to go to the pumpkin patch! I haven't been able to make it to one yet this season and I'm itching to go! Pottery Barn outlets exist?! I had no idea! That would be really dangerous for my wallet though haha. I cannot wait to check out these links! Definitely need to bookmark that list of 50 things to be grateful for. I'm about to binge watch the second season of Stranger Things when it comes out this week, and I cannot wait! 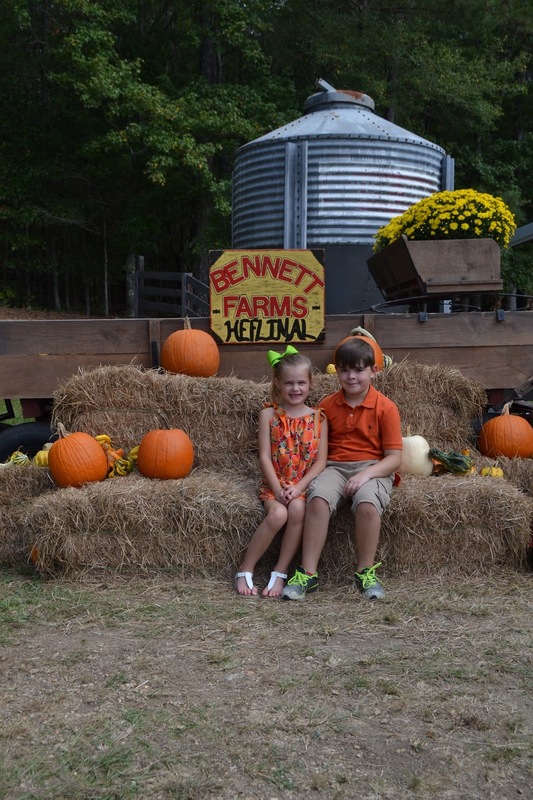 I love going to the Pumpkin Patch! Such a fun time! Ahh I really need to watch the last few seasons of PLL! I watched it when I was younger, but never got around to finishing it! And I love going to the pumpkin patch, can't wait to see the other photos from your trip there!